Epcot: The Experimental Prototype Community of Tomorrow. This park was Walt Disney’s dream of the utopian city of the future. While this dream is now a theme park, it’s still educating and inspiring people today. Epcot is going through some growing pains right now, adding new attractions and restaurants over the next several years, but let’s dive into what stands out today! 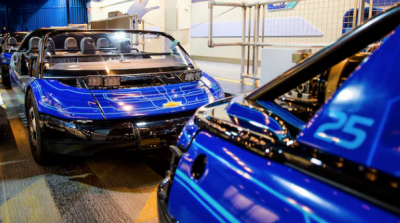 Test Track – Do you feel the need? The need for speed? Design your very own vechile and take it out for a spin to see how it performs! You’ll test your vehicles capability, responsiveness, efficiency, and power. The final test will push your car to 65mph, so hold on to your hats and glasses! 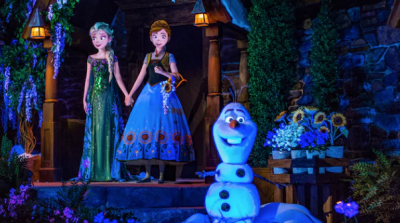 Frozen Ever After – If your kids are Frozen fans, just “let it go” and experience this attraction! This slow moving boat ride will take you on a Frozen journey. During this attraction, you’ll meet all of the beloved characters including Elsa, Anna, Olaf, Kristoff and other Frozen friends. This attraction usually has lines that are 45-90 minutes, so you may want to grab a FastPass! Soarin’ Around the World – Soarin’ is an immersive flying experience where you will board a simulated hang glider. You will be raised 40 feet in the air in front of an 80-foot IMAX projection dome. During your flight, you will encounter scenic views including the Great Wall of China, Iguazu Falls in South America, Australia’s spectacular Sydney Harbour, and much more! Spaceship Earth – Yes, there is a ride inside of that giant ball! Spaceship Earth is a classic Disney attraction. On this attraction, you will go back in time to discover how communication and technology started and how they came to be what they are today. This is a slow moving attraction that is 16 minutes long. A great way to cool off during the middle of the day and relax! Living with the Land – Where does our food come from? How does our food come to be what it is? 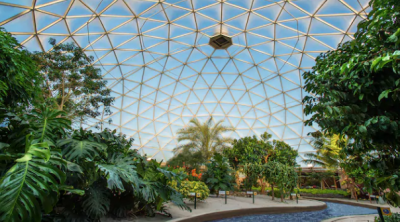 On Living with the Land, you will gain a newfound appreciation for where your food comes from on this cruise through the living laboratories of Epcot. As I mentioned, Epcot still has some more growing to do. Many of the countries in Epcot’s World Showcase do not have attractions, which I personally feel like they should and believe it would help Epcot become a better park. Hopefully, over the next few years, we should see more experiences come to this park and lead it into a brighter future! What did you think of my list? Did I miss any attractions that you love? What are your must-do’s? Let me know in the comments below!